A bright mix just in time for spring. The Pharrell x adidas Crazy BYW X “Gratitude/Empathy” is receiving another launch this month in a clean white iteration. 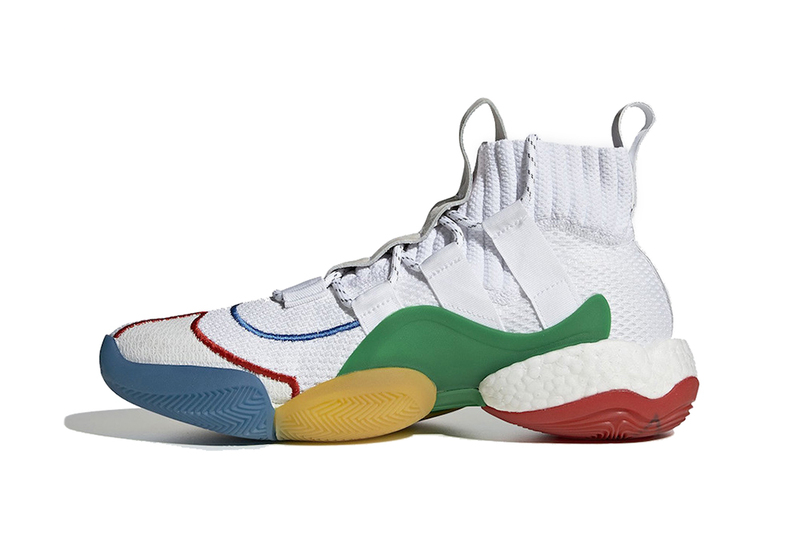 The sneaker, which initially saw a release in Black back in December of 2018, highlights Pharrell Williams’s work with adidas to create a message-driven basketball sneaker. The lively batch of color makes its way back to portions of the upper and outsole, from its flexible eyestays and embroidery, to its piping and translucent base. Lastly, “Gratitude” and “Sympathy” branding is added to the right and left sneaker respectively to drive Pharrell’s positivity home. The Pharrell x adidas Crazy BYW “Gratitude/Sympathy” in white is expected to arrive on March 29 for $250 USD. Take a look at the upcoming release above and let us know how it compares to the original black pair. adidas followers can also take a look at the colorful batch of Ozweego kicks in collaboration with Raf Simons.